Leveraging widely deployed SAS storage infrastructure to scale out enterprise flash is critical for budget-conscious data centers trying to keep pace with an ever increasing volume and velocity of data generated daily. 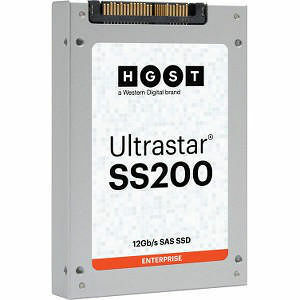 The Ultrastar® SS200 solid-state drive (SSD) is a 12Gb/s SAS Enterprise SSD from HGST that helps transform hybrid and all-flash data centers by scaling flash storage capacities using workload-optimized solutions to deliver exceptional value. Data center managers can target performance acceleration of mixed-use application workloads such as Online Transaction Processing (OLTP) or push the capacity envelope on read-intensive workloads like data warehousing and corporate file servers. HGST continues to build on its strong tradition of leading-edge SAS SSD products to deliver more capacity, improved performance and continued emphasis on reliability to enable universal flash adoption in enterprise storage.